This Pilates exercise DVD is ideal for maintaining flexibility, strength and balance as we age. 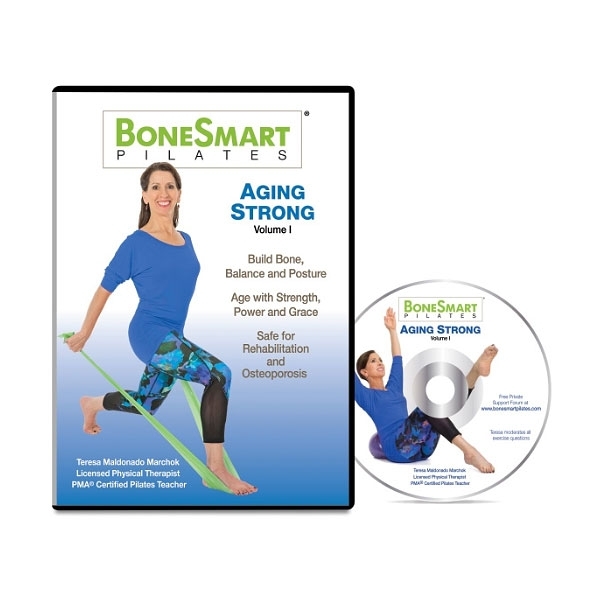 Produced by BoneSmart Pilates®, this DVD includes an exercise program for the active aging population. The routines, created by physical therapist and certified Pilates teacher Teresa Maldonado Marchok, target multiple areas of risk such as the hips, legs and spine, as well as bone/joint health and overall balance. The program moves at a challenging pace but offers flexible modifications. It is designed to be safe for osteoporosis and other conditions. DVD run-time: 1hr 15 mins.